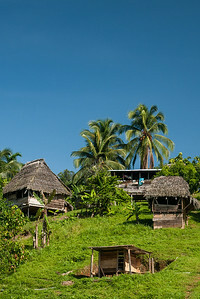 View from our bungalows at Silico Creek, Panama. 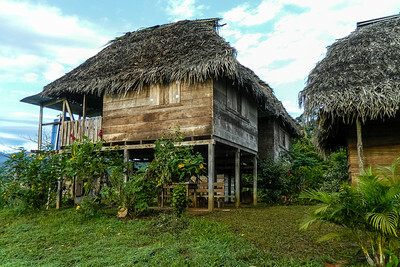 Sunrise from Urari's bungalows at Silico Creek, Panama. 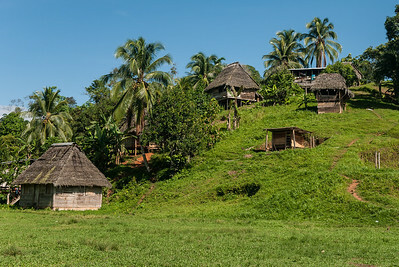 A look at the village and houses at Silico Creek, Panama. 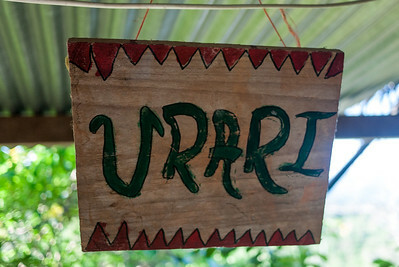 The basic wooden bungalows provided by Urari at Silico Creek, Panama. 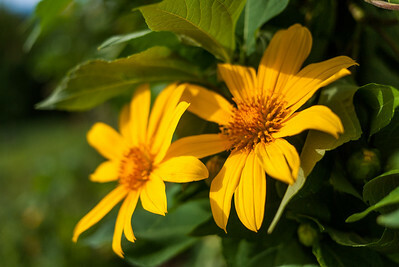 Sunrise over the pretty flowers near our bungalows at Silico Creek, Panama. 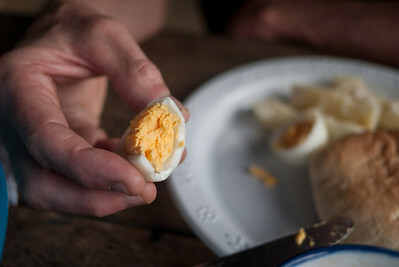 Fresh eggs were a gorgeous color during our breakfast at Silico Creek, Panama. 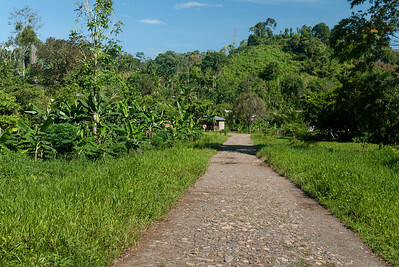 Walking through small villages on the waterfall hike from Silico Creek, Panama. 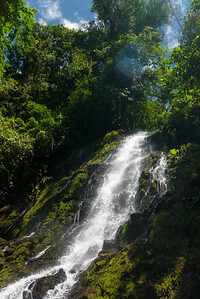 A gorgeous and bright morning for our waterfall hike from Silico Creek, Panama. 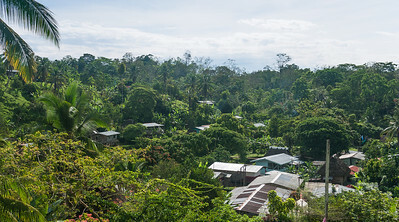 A small village settlement adjacent to Silico Creek, Panama. 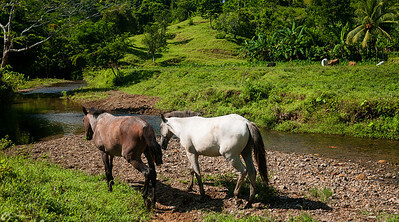 Gorgeous rolling hills and land we trekked over for our waterfall hike from Silico Creek, Panama. 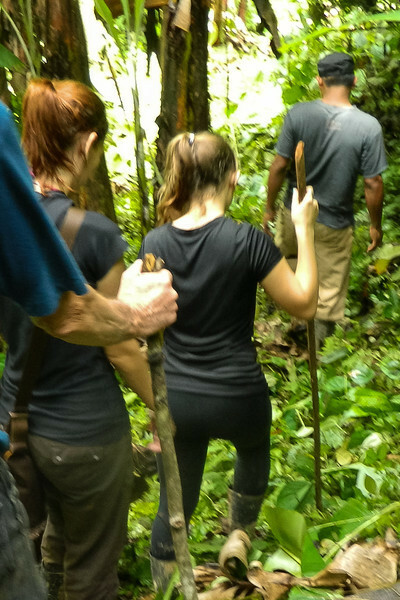 Hiking through the mud to the waterfall near Silico Creek, Panama. 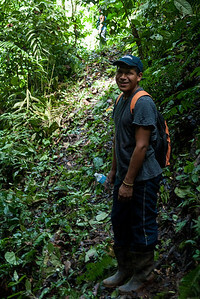 Arnoldo, our guide for our three days at Silico Creek, Panama. 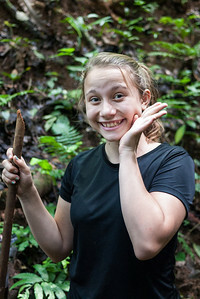 Ana powering through a hike at Silico Creek, Panama. 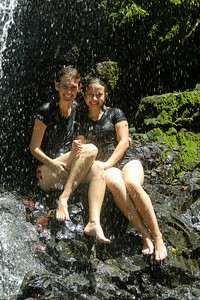 Ana and me enjoying the cold waterfalls near Silico Creek after a very long and hard hike. 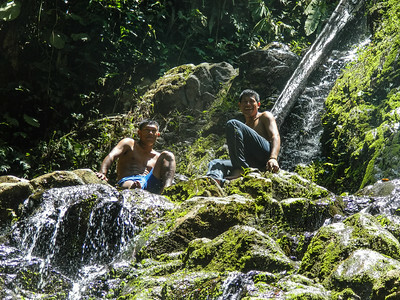 Our guides scaled the waterfall and cooled off from the top. 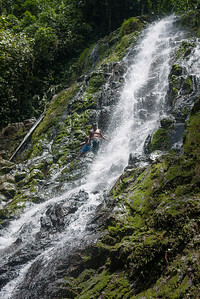 The waterfall near Silico Creek, Panama. 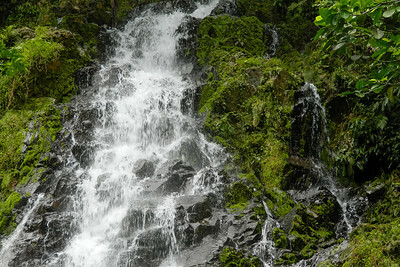 The waterfalls at Silico Creek, Panama. 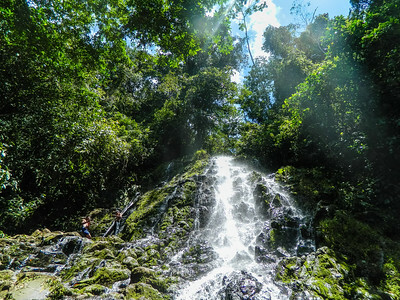 A gorgeous day for the waterfall hike at Silico Creek, Panama. Silico Creek's pretty waterfall on a sunny day. 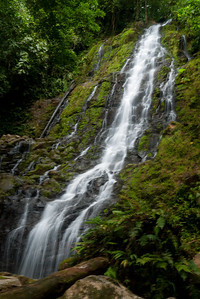 Waterfalls near Silico Creek, Panama. 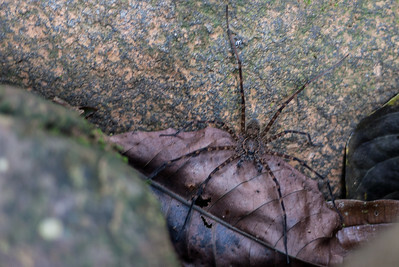 These spiders were hard to spot hiding in the shallow pools of water on our waterfall hike. Our group making our way through the mud to the waterfalls near Silico Creek, Panama. 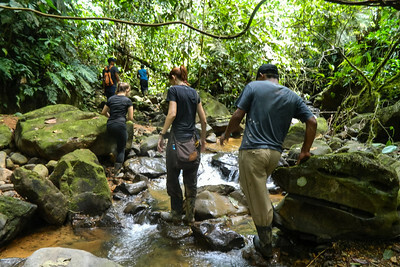 Crossing rivers to get to the waterfalls. New homes were being built at the top of a nearby hill wit a gorgeous vista. 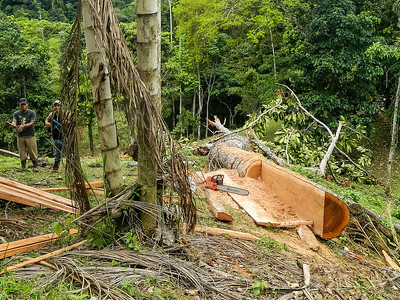 A new house is under construction and the owners let us rest on their logs for a break. 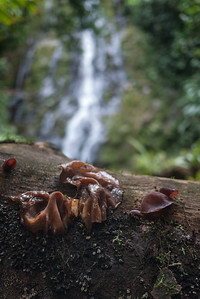 Views from the waterfall hike at Urari. 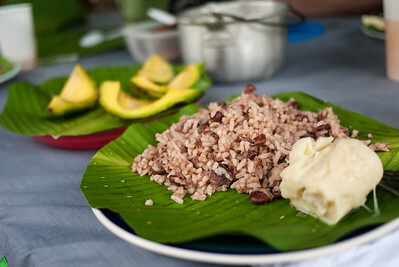 A delicious lunch of coconut rice, fresh avocado, and hearts of palm (and chicken for the meat eaters). 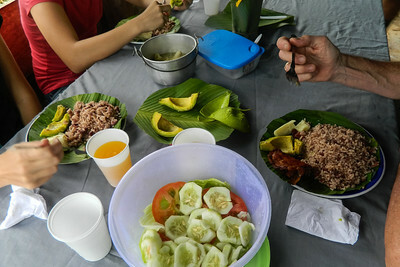 Lunch after a hard hike to the waterfalls near Silico Creek, Panama. 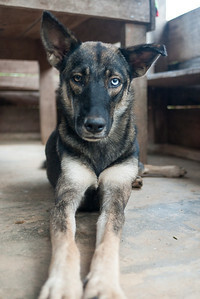 Reina, our guide's super smart dog who kept us company each morning. 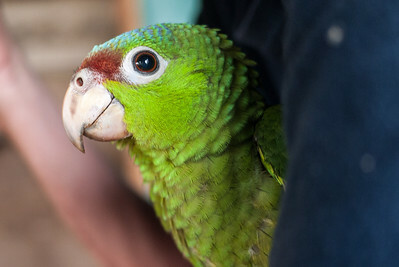 Lori, a pet bird in the village. 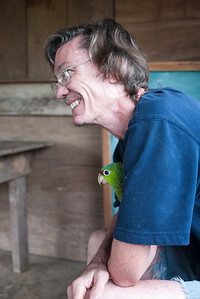 My dad bonded with the baby bird. 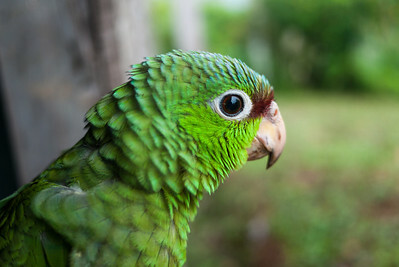 A pet bird at Silico Creek, Panama. 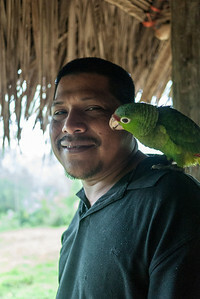 Eduardo and his pet bird at Silico Creek, Panama. 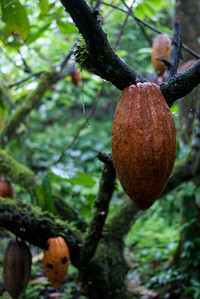 School children greeted us as we headed to the cacao fields at Silico Creek, Panama. 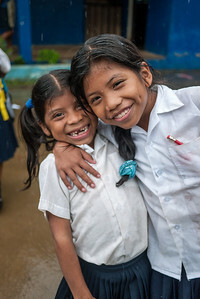 School children at Silico Creek, Panama. 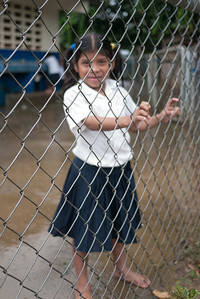 This little one was hugely enthusiastic to say hi as we walked by the school. 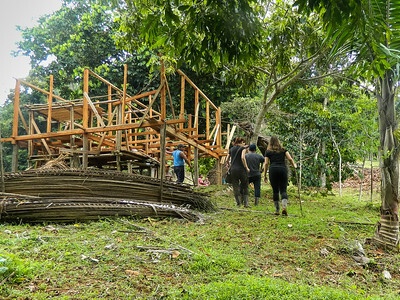 The brave of the boys used his chance to practice a few words of English at Silico Creek, Panama. 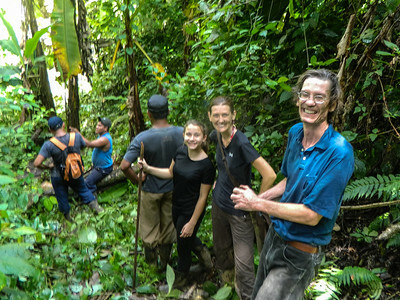 Excited girls at Silico Creek, Panama. Baby chicks and their mom scattered around the village at Silico Creek, Panama. 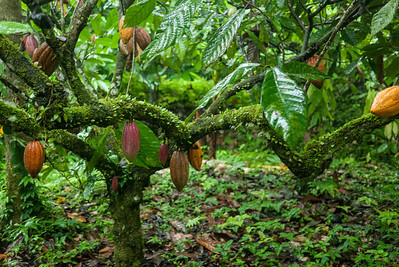 Ripening cacao hulked from the tree branches on one of the cacao plantations at Silico Creek, Panama. 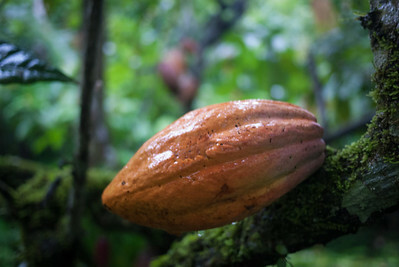 A cacao fruit; they come in several different colors. 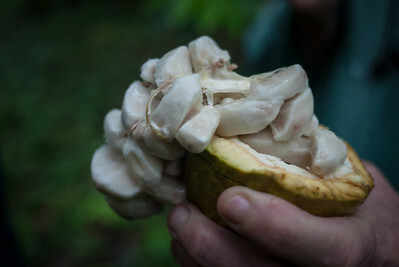 The sickeningly sweet fruit around the cacao seed.